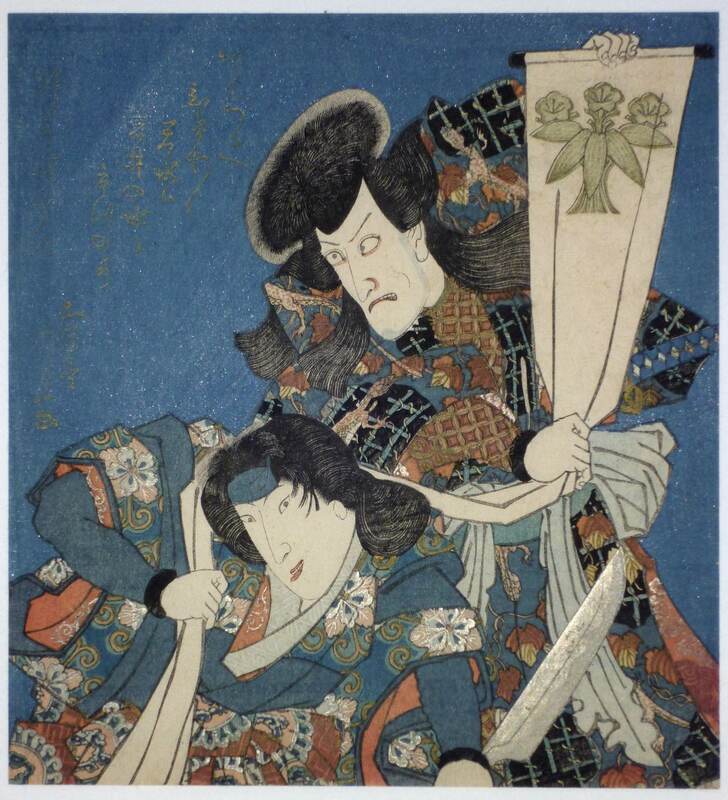 A surimono showing the kabuki actors, top right: Ichikawa Danjuro VII holding up a war banner decorated with a sasarindo (bamboo grass and gentian), the mon of the Minamoto clan and Iwai Hanshiro V wielding a large knife in an unidentified play. The poem mentions the Iwai and Ichikawa family names. Published c 1827-30. Fine impression and colour with blind-printing, silver and gold. Signed in gold on the blue ground Gototei Kunisada ga.